The word ‘Drone’ has been used until now mostly in the military context where it refers to an Unmanned Aerial Vehicle (UAV) that is capable of conducting high-altitude surveillance or even carry out air-strikes. It also has the common language meaning of a ‘male bee’ or a ‘continuous harmonic sound’ and other such references. Since 2012 though, a new category of small UAVs or Small Unmanned Aerial Systems (sUAS) emerged with the launch of camera drones. These machines were previously mostly in R&D labs and in hobby circles. But with the continuous drop in battery costs and other electronic components (thanks to the growth in usage of consumer electronics), Drones are now gaining prominence in various domains for their immense potential. It was in the wake of this understanding of the huge potential of this technology that Thanos Technologies was started. As the technology gains prominence the world over, the word ‘Drone’ seems to have been the more caught up term among media and Tech circles. This is mainly owing to the complexity of the acronyms such as UAV, UAS, sUAS. Henceforth, we shall use the word ‘Drone’ for all purposes when referring to these flying machines. I’m sure there are plenty of fans for Marvel Comic Universe (MCU) – the Comics and the Motion Picture series. Some of us at Thanos Technologies are fans too. Anybody who follows MCU would immediately connect Thanos with the Marvel Comic Universe super-villian character with the same name. However, Thanos also has a reference to the Greek name ‘Athanasios‘ which means ‘Immortal’. It was with this meaning in mind that we had chosen the name. We intend our work to have everlasting and never-dying (immortal) impact on the technology and its adopters. Why did we start Thanos? Since the first commercial drones were launched in 2012, drones have found their way into new domains and are beginning to be used for applications never imagined before. While some are using them for Aerial Photography and Videography, others are creating drones for painting large structures and some for cleaning. Some are using drones for Search and Rescue. And some others are using them for transportation of emergency medical supplies to remote areas. The list of applications that already exist and that are being developed goes on. Thanos was started with the purpose of providing Aerial Solutions that span domains served by Engineering applications such as Contour Mapping. There’s also the applications of Thermal Imaging and NDVI Mapping that we are currently working on and hope to offer pretty soon. Our long term goals include higher engineering applications and logistics but also include Urban Aerial Transportation. With extremely passionate people on board, we at Thanos strive to live upto the expectations and standards set by ourselves and our customers. 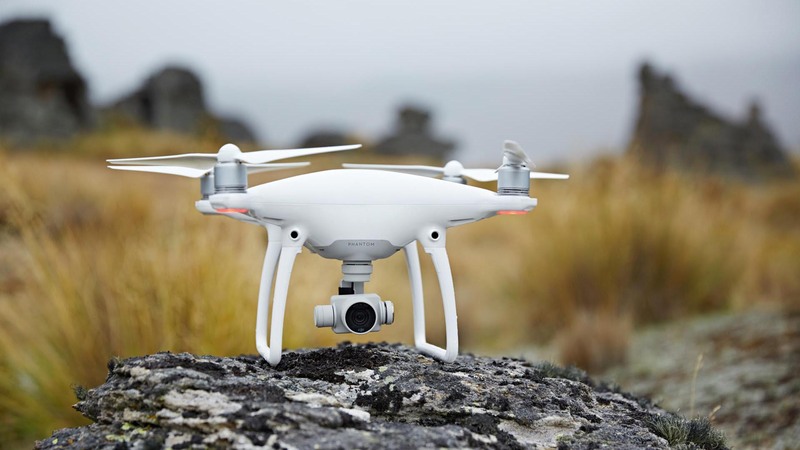 Here’s a snap of the DJI Phantom 4 – one of the drones that we use for our activities.